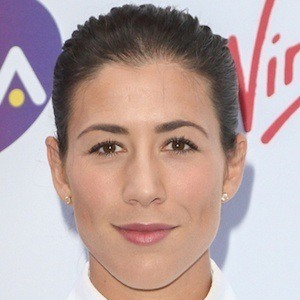 Spanish-Venezuelan tennis player who turned professional in 2012 and won the 2016 French Open championship and the 2017 Wimbledon title. She began playing tennis at the age of three; she started competing on the ITF circuit in 2009. She pulled off an upset over her tennis idol and world #1 Serena Williams in both the second round of the 2014 French Open and in the 2016 French Open final match. She was born to parents Jose Antonio and Scarlet Blanco. She has older brothers named Asier and Igor. She has defeated Caroline Wozniacki at the Sony Open Tennis and Australian Open.